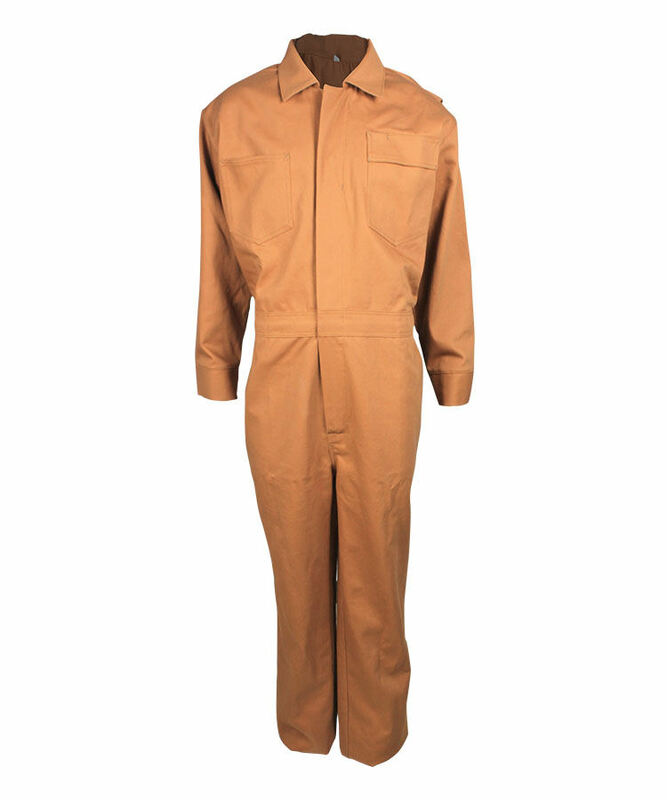 This antistatic anti oil fire retardant coveralls made of 300gsm cotton antistatic anti oil fire retardant fabric, and can meet EN ISO 11611, EN 61482-1-2, EN1149-3, ISO 4920, NFPA2112 and other standards. 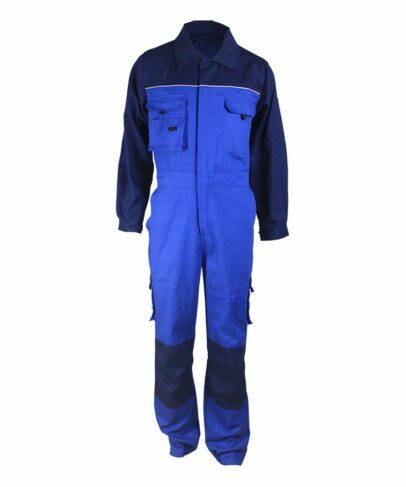 This antistatic anti oil fire retardant coveralls has good strength, and great FR property, lower formaldehyde content, good strength, can enlarge clothing using life to 50%, easy dyeing and dye bright color, soft touching, comfortable wearing. 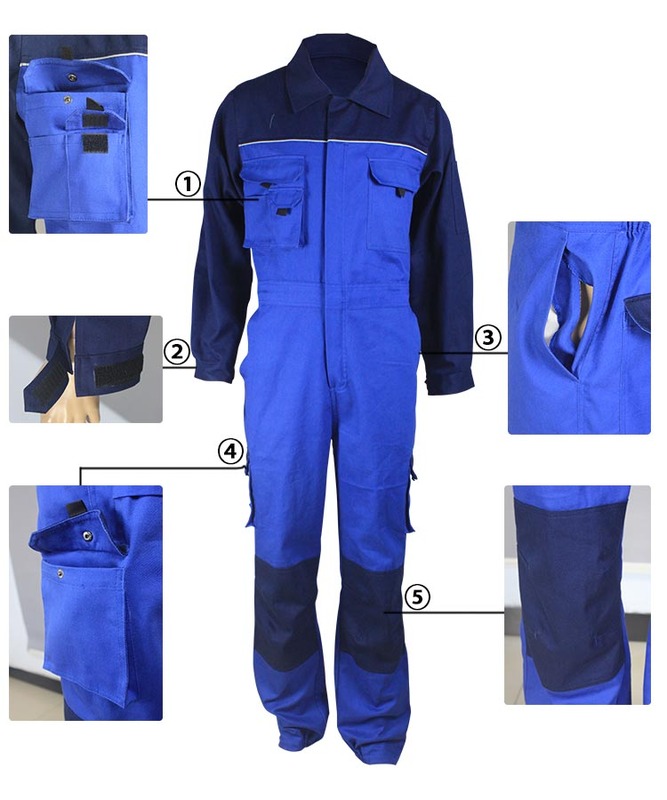 This antistatic anti oil fire retardant coveralls mainly used in fire fighting/ electric/ electric and steel making/ sealing/ explosion/ mining/ chemical/ electrics such industrial protection. Left chest pocket with flap,Velcro closure,right chest pocket is three-in-one pocket,left small three-dimensional pocket above chest pocket is phone bag with flap,Velcro closure,right small pocket is separated by two bar-tack,can be put pen. 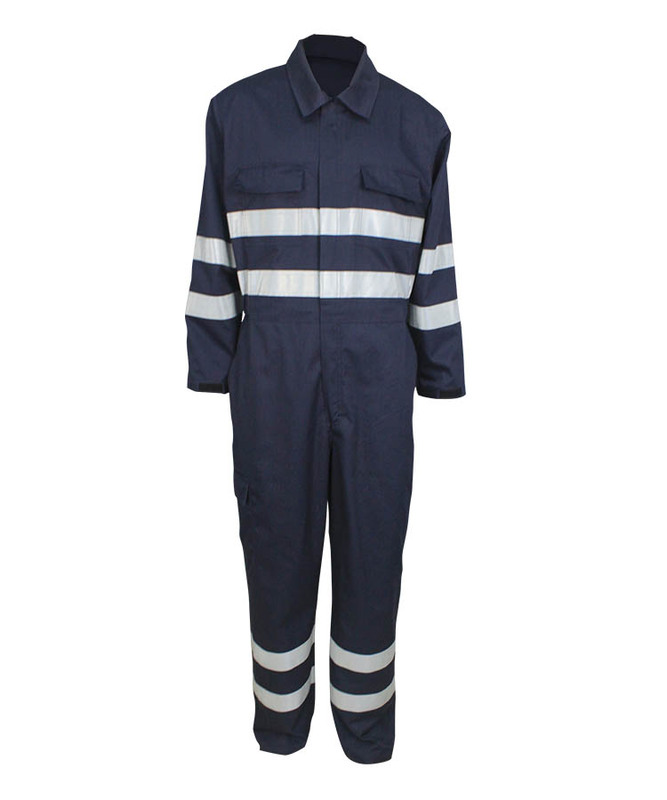 Cuffs on the antistatic anti oil fire retardant coveralls sleeve, elastic and Velcro sleeve loop can adjust the cuff size. 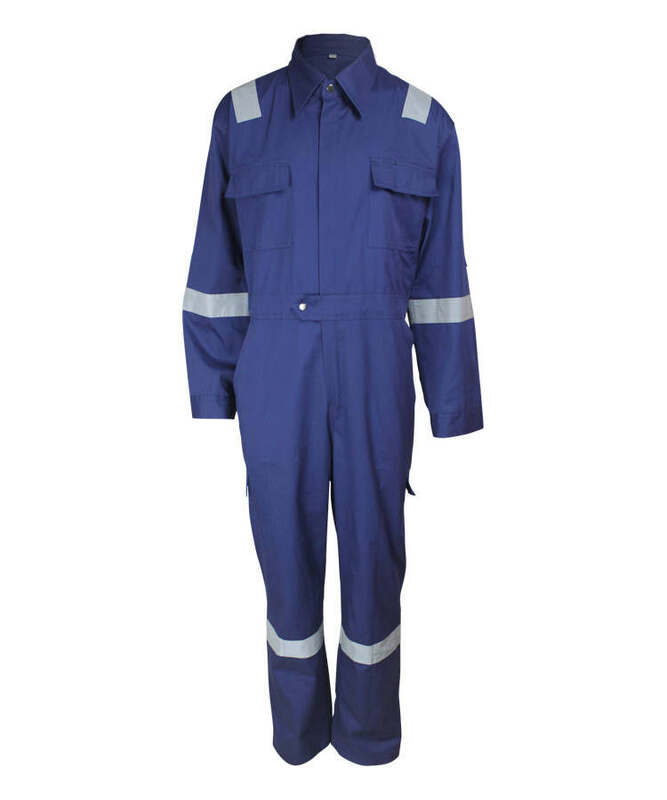 Slant pocket on both side of antistatic anti oil fire retardant coveralls, add air pocket. 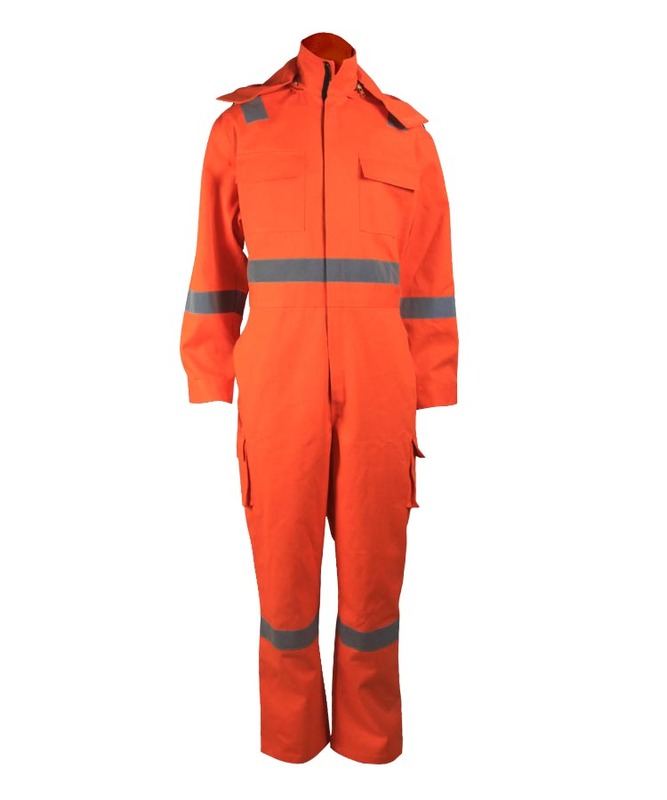 Three-dimensional bag on antistatic anti oil fire retardant coveralls leg. Pants with Teflon kneecap at the knees, increased wear resistance. All pockets flap add ribbon loops, more convenient to open the pocket. Front and back part are double color splicing, splicing place without reflective bud. 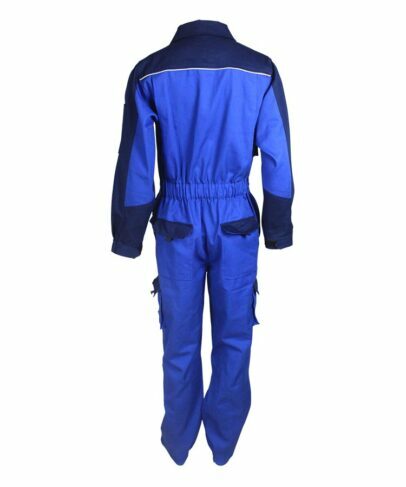 Sleeve pocket on antistatic anti oil fire retardant coveralls’ left sleeve,sleeve is also two-color stitching, beautiful and fashionable. Active back, easy to stretch the arm. Shoulder, armhole, front and back rise and pants out seam is double visible stitch, beautiful and firm. Upper and lower is connected with waist line,and add 4cm belt on it, elastic band adjust the waist size, fit more people in different sizes. Hip pocket is patch pocket,Velcro closure,flap is contrast color pocket. Front opening is double closed metal zipper to two-color stitching, front fly covered zipper, two snap button closure above zipper. Turn-down collar,bar tack all the points of force, enhance the firmness.